As part of your regular visits to our office, you will receive an oral cancer screening to ensure that your mouth is in good health. 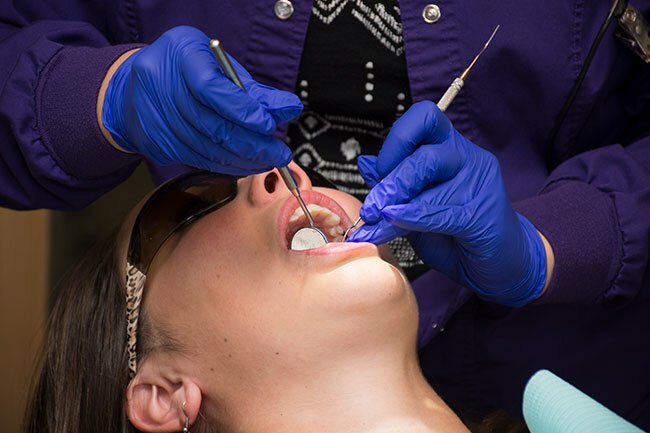 The Grand Dental Center team cares about our patients, and we strive to fulfill our part in keeping your mouth and smile healthy. We are dedicated to doing all we can to detect and treat oral cancers and other abnormalities at the earliest possible stage. While our team will perform a screening for oral cancer to check for these and other symptoms, we encourage you to contact us if you notice any of these problems or if you experience any other type of dental pain. We are committed to helping you stay in good health. For questions or more information, contact Grand Dental Center today at 218-326-0339.